Founded in 2015, Cairo Center for Development Benchmarking (CDB) is headquartered in Egypt, An energetic and dynamic young company which specializes in research and consultation services. CDB is committed to continuously deliver innovative and creative solutions in-line with the needs of the consultation, training and publishing industries in the MENA region, The institution aims to promote the best practices and outstanding models for development. Surveys utilizing a data collection network extend in different MENA countries. Consultation services in fields related to economic growth, sectorial analysis, human development, human resources and management, using a set of benchmarking methodologies. Providing internationally certified training programs on data analysis, strategic communication, strategic decision making, and crisis management. Publishing books and disseminating knowledge in fields related to development including investment policies, prospective studies, energy and oil, business environment, Industrial Development, Tax Reform, Early Warning Systems, and Future Studies. Cairo Center for Development Benchmarking's model works to compare the performance of strategies, processes, and products with the best performances of other entities inside and outside the industry. 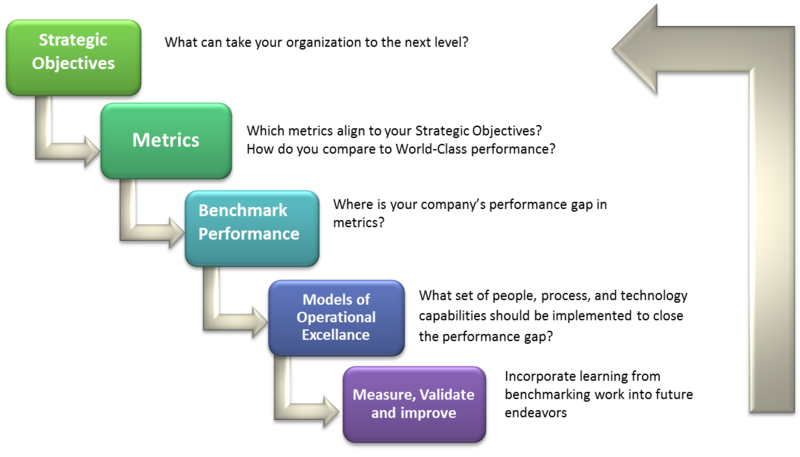 “Benchmarking” is the search for best practices that lead to superior performance. This is done through monitoring performance, measuring policies effectiveness, and comparing indicators among the different institutions and areas.